Our latest Axios Science event, hosted with AAAS and Halcyon, had a couple of discussions with scientists and policymakers on what our future will be like living with robots. Food delivery drones, robotic caregivers, and autonomous construction-bots are in our future. Watch the event, hosted by our own Alison Snyder. Among the panel members were: Republican Rep. Will Hurd, CyPhy CTO Helen Greiner, and former White House CTO Megan Smith. Hurd said that while there currently isn't a definition for a digital act of war, recent events have shown that AI can play a role in politics, particularly in disinformation campaigns. "These are some of the broader questions we have to answer. When you talk about disinformation, we don't have a strategy for counter-disinformation. When you talk about the potential uses of AI in disinformation, and influence in perspective, that's scary. How do you prepare for that? That's a scenario that's scaring me," Hurd said. "We've come a huge way, there's lots of robots out there, but we're not R2D2. Yet," Greiner said. 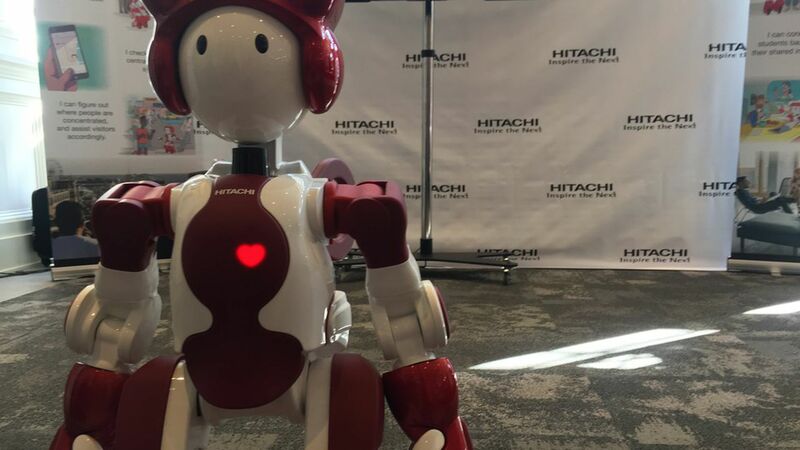 As robots become more common, she said people need to think about what regulations are necessary to keep people safe, but also consider what regulations can stifle innovation. "The robots are getting bigger, and stronger and faster and more autonomous, so there are more risks coming up," Greiner said. "Still, the industry has done a good job putting out products that are safe." Greiner added, "I was inspired to go into robotics because of R2D2 when I was ten years old." Smith said the flexibility and capabilities of these robots mean they can respond to things like the disasters in Houston and the Caribbean. But they can also be used to spy and invade privacy. "Technology isn't good or bad, but we choose to use it in particular ways. Any technology can be weaponized," Smith said. Smith added that as robots take over conditionally gendered jobs like housekeeping, "we might be able to start seeing better gender equality, or racial equality."